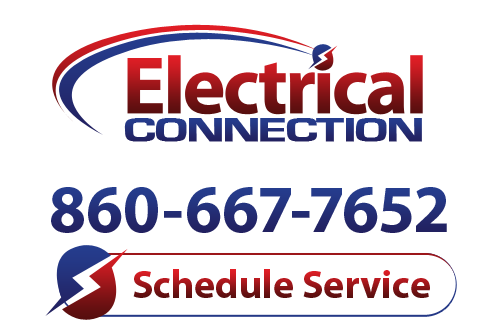 We here at Electrical Connection, Inc. specialize in a number of areas, with indoor lighting services being among the most common. When living in a dorm room or an apartment, the type of indoor lighting systems used are not generally something that residents are all too concerned with. When you own your own home, though, these details become much more important. Not only do you want the lighting design in your home to be both fashionable and functional, but you also want to know that you are lighting your home in a safe and efficient manner. LED lighting is a great way in which to do so. Contact us today if you have questions about the use and benefits of LED lights in Central Connecticut. LED stands for light emitting diode. An LED is a very small, solid chip which contains two layers of semiconducting materials. Current flows from positive to negative leads, but cannot reverse direction. As electrons move from one lead to another, they lose energy. This energy is emitted in the form of light photons. These photons may be either red, green, or blue. They can be combined in order to emit white light, or a blue LED may be coated with yellow phosphor, converting the light from blue to white. LEDs are very directional, so these single diodes are typically arranged in a way that allows for an LED lamp to spread light in wider fashion. Efficiency: You’ve probably heard the suggestion that basic incandescent lights should be replaced. To give you an idea of the energy savings that LEDs can offer, consider this: incandescent bulbs range from 10 to 17 lumens per watt. LEDs, on the other hand, range from 60 to 90. Life Span: Incandescent bulbs can expect a life span of 750-1,000 hours. Sound good? Well, not when you consider the fact that LEDs can offer at least 30,000 of operational time. Safety and Reliability: Unlike incandescent lights, or especially halogen lights, LEDs remain cool to the touch, even after a long period of service. They are also very rugged; you won’t be dealing with a broom, dustpan, and broken glass with LEDs. Plus, they are 100% dimmable. Call to learn more.